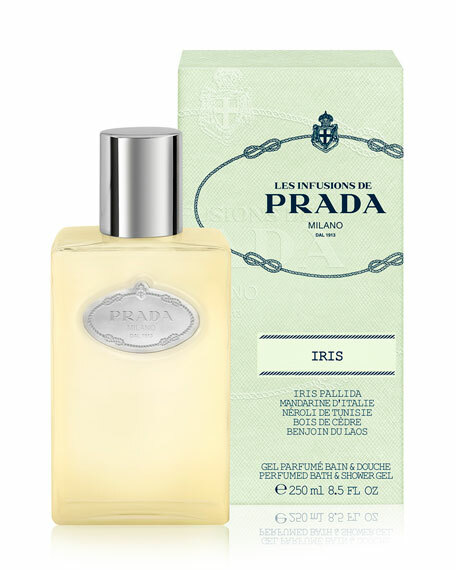 Prada Infusion d'Iris Shower Gel, 8.5 oz. PradaInfusion d'Iris Shower Gel, 8.5 oz. Soft tensio-actives cleanse the skin. Pro-Vitamin B5 panthenol hydrates, smoothes and brings radiance, improving skin's elasticity and protecting from external aggression.